Operation Sagip of the ABS-CBN Lingkod Kapamilya Foundation, Inc. (ALKFI) is known for its immediate relief operations in calamity-affected areas. But ALKFI’s emergency humanitarian arm does not end its help with it. It also assists communities through different rehabilitation and educational projects. With the new implementation of the K-12 curriculum, students may enrol to Technical-Vocational-Livelihood academic tracks they prefer to equip them with job-ready skills in the future. In line with this, Operation Sagip recently turned-over equipment for senior high school to four schools in Tarlac – Tarlac National High School, Malacampa High School, Camiling School for Home and Industries, and Dapdap High School. 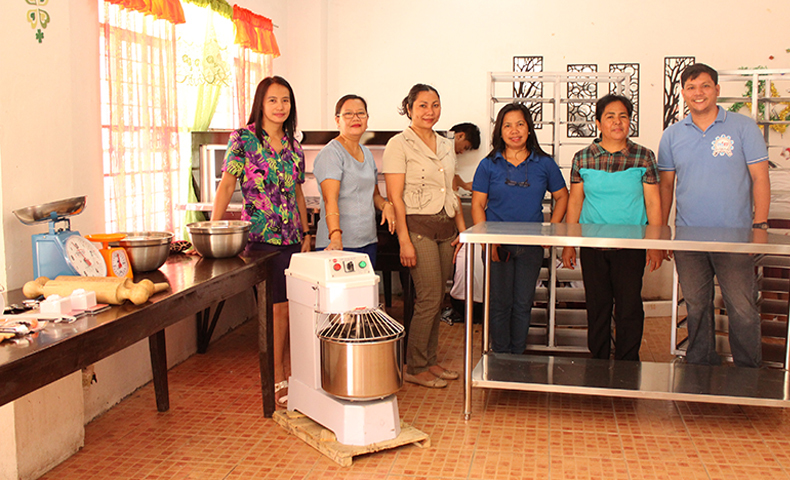 Tarlac National High School received a set of bakery equipment. Students in Malacampa High school in Camiling Tarlac can now perform their Shielded Metal Arc Welding course with their new hand tools and equipment. Aside from sewing machines, Camiling School for Home and Industries in Camiling, Tarlac was also given cosmetology tools. Dapdap High School in Bamban, Tarlac also received sets of sewing machines. Tarlac National High School in Tarlac City received a set of bakery equipment: baking tools, baking tables, baking mixer, baking oven, and baking racks. Operation Sagip turned-over the materials last November 2016. Malacampa High School in Camiling Tarlac was given additional equipment for Shielded Metal Arc Welding. November 2016, Operation Sagip turned-over initial equipment to the school. Additional equipment were given last January 2017. 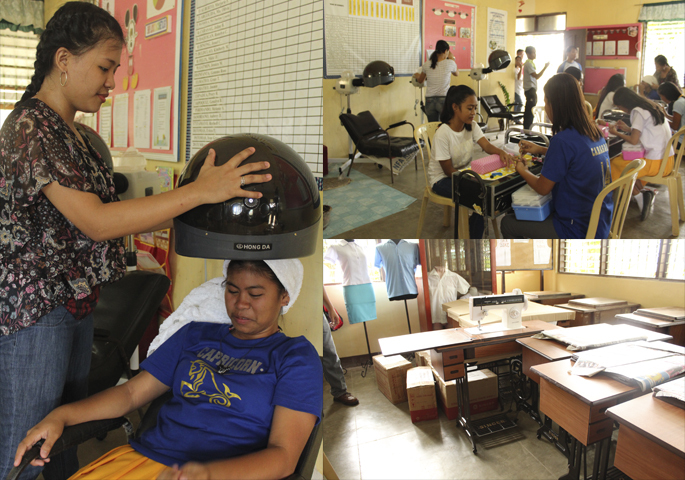 Students of Camiling School for Home and Industries in Camiling, Tarlac start to use their cosmetology tools. They also received sewing machines. November 2016, Operation Sagip officially turned over the sewing machines, and manicure and pedicure kits, while last January 2017, the program turned over the hair dryers. 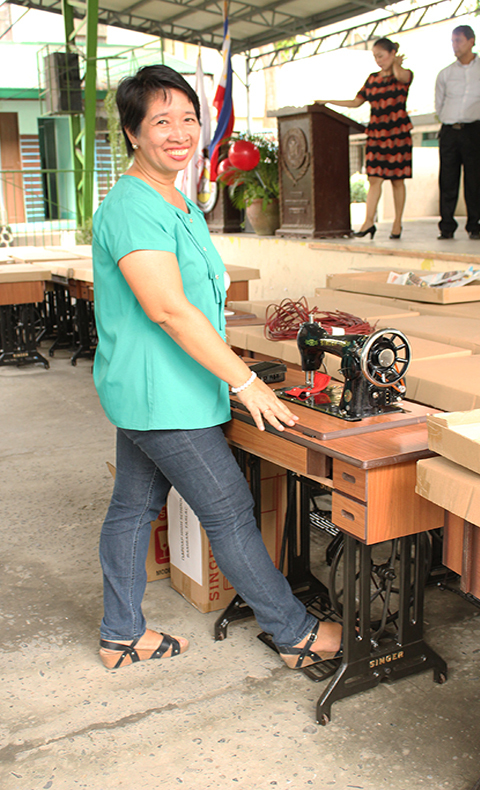 A faculty of Dapdap High School in Bamban, Tarlac joyfully tries one of their new sewing machines. Operation Sagip gave the sewing machines last November 2016. Since the curriculum is new, most of the schools do not have the equipment needed for their courses. This makes it more difficult for the students and teachers to interact during their lessons as most of the time, they only use their imagination to get through with discussions. Some of the students even bring their own tools. With the new equipment from Operation Sagip, the students become more productive like in Camiling School for Home and Industries. They now start to create their own income-generating projects with their sewing machines and cosmetology kits. 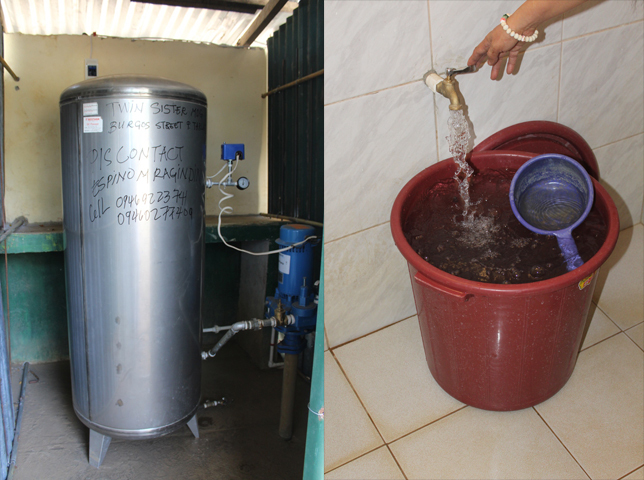 On the other hand, potable water facilities were put up in Malagayuma Elementary School in Paniqui and Sta. Monica Elementary School and Tolega Sur Elementary School in Moncada. The three schools have existing water facilities however, they seldom work. During the times they do, the water they supply is not even potable. 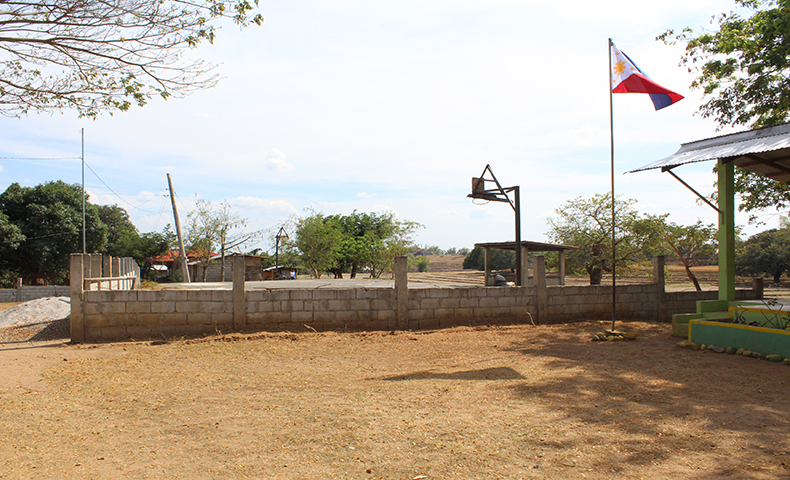 In the sitio of Malagayuma, they only have one water pump near the school. It is surrounded by farm lands but they do not have an irrigation system leaving them to just hope for the rain to come. The newly installed water facility now serves the whole sitio of the three schools and each also has direct pipes going to the classrooms. The province of Tarlac has always been one of the affected provinces in Luzon when a typhoon hits as it is one of the catch basins of back floods during typhoon season. In the modest health clinic of Brgy. San Antonio in Bae, Laguna, an average of 150 residents are being served in a day. This includes pregnant women, new-born children, and ailing people. Part of the clinic’s ceiling. 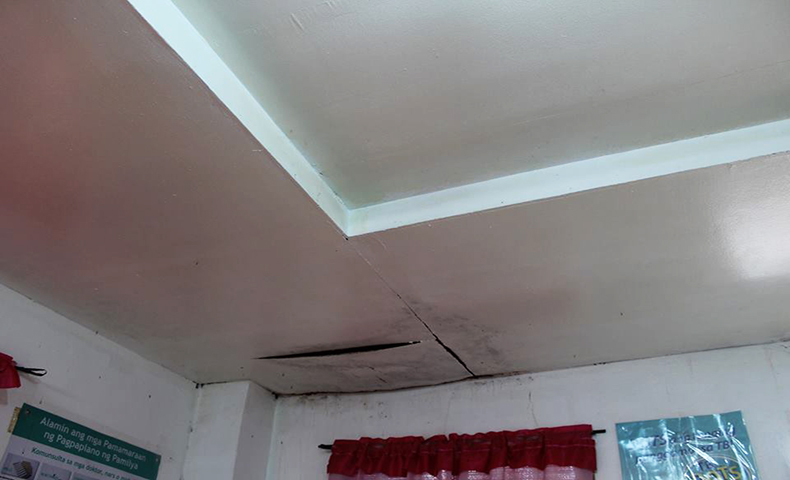 When Typhoon Ondoy (2009) and Glenda (2013) hit the country, the clinic was greatly affected. All of its medical equipment was washed out and the ceilings became dilapidated. After four years, the clinic still looks the same after the two typhoons. 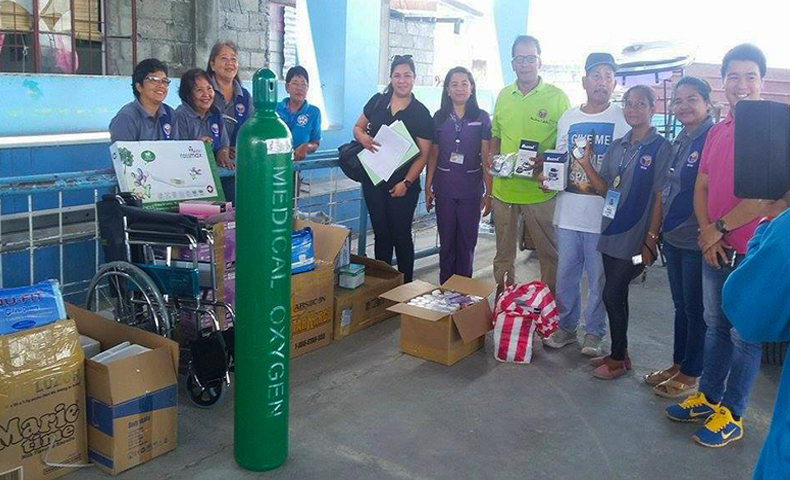 With the situation, Operation Sagip donated medical equipment and medicines to the clinic last February 2017. Among the medicines given are those for acute respiratory infection illnesses, vitamins, and fever. A photo opportunity with the staff of the clinic. Brgy. Looc in Balete, Batangas’ covered court was reconstructed and the residents can now use it as an evacuation center when a typhoon comes. Reconstructed by Operation Sagip, it is situated in the highest area of the place for it not to be affected by the floods. 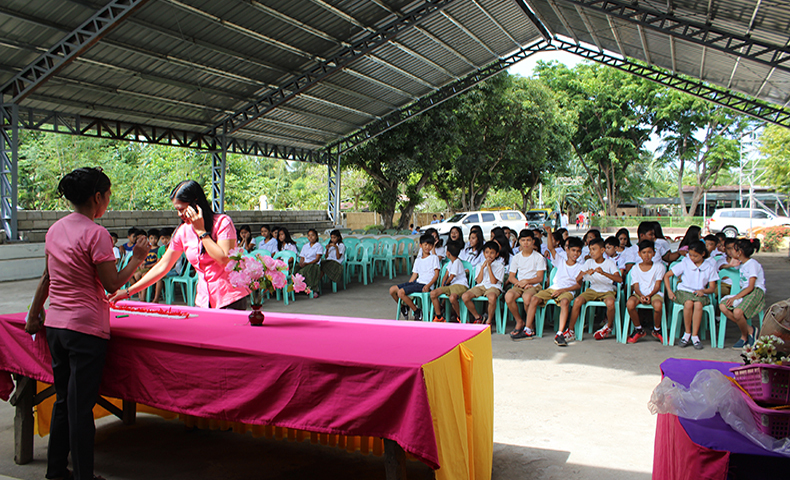 Teachers of Looc Elementary School prepare for the mass, during the blessing of the covered court last April 2017. The said covered court was destroyed by different typhoons that affected the province of Batangas. Operation Sagip also has a Nutri Pan de Kapamilya Bakery in Looc Elementary School that helps the school to have another source of livelihood. This also augments their school feeding programs. Furthermore, Brgy. Looc is an adopted community of ABS-CBN’s Integrated Public Service. With its commitment to build back better, Operation Sagip, through the help of donations and different partners, continues to reach calamity-affected communities around the country even after the tragedy; with the hopes that Filipino families could get back on their feet again.